must paint the item to match their vehicle. We do not offer painting services. WE NOW SHIP LARGE FREIGHT ITEMS SUCH AS FENDERS, REAR SIDE BED PANELS, DOORS & HOODS BY AIR INTERNATIONALLY; AND TO CANADA OVERNIGHT, SECOND DAY OR GROUND! This kit converts your 2013 Dodge Ram 1500 in to an R/T model. Includes the factory original parts below for one price. MP-13RTHL R/T Smoked Headlight - Right $ 994.95/pr. 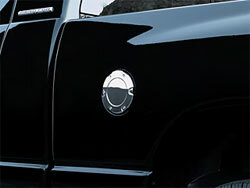 MP-6502625 2002-2005 Dodge Ram Pickup Front Bumper Step Pad RETAINER $ 13.95 ea. MP-6508183AA A6 2002-2005 Dodge Ram Pickup BUMPER BOLT $ 8.95 ea. 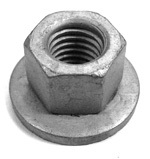 MP-6101678 A12 2002-2005 Dodge Ram 1500 Pickup - PLATE NUT (need 4 per side) $ 8.49 ea. 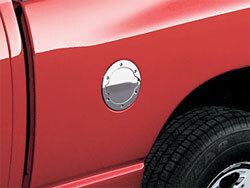 MP-6502871 B16 2004-2005 Dodge Ram 1500 Pickup - COVER RETAINER - Front (Need 2 per side) $ 5.95 ea. 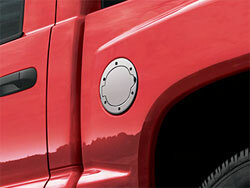 MP-6101718 B17 2004-2005 Dodge Ram 1500 Pickup - COVER RETAINER - Rear (Need 6 per side) $ 6.95 ea. MP-6502625 2002-2005 Dodge Ram 1500 Pickup Fascia Retainer $ 13.95 ea. MP-6502625 A4 2006-2008 Dodge Ram Panel Retainer (need 2 per side) Right or Left $ 13.95 ea. MP-6508183AA A6 2006-2008 Dodge Ram Mounting Screw (2 per side) $ 7.95 ea. MP-55077766AA B5 Front Panel - 2006-2008 Dodge Ram 1500 $ 43.69 ea. 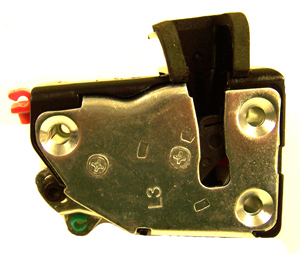 MP-6502625 Fascia Retainer (need 2 per side) - 2006-2008 Dodge Ram 1500 Right or Left $ 13.95 ea. MP-6508183AA Cover Screw (need 2 per side) - 2006-2008 Dodge Ram 1500 $ 7.95 ea. MP-6508183AA Support Screw - 2006-2008 Dodge Ram 1500 $ 7.95 ea. 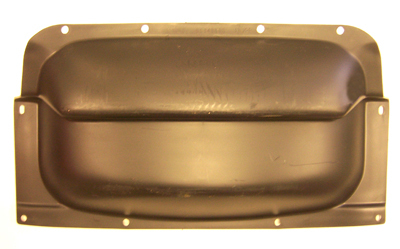 MP-6501979 B17 Cover Retainer - 2006-2007 Dodge Ram 1500 $ 3.79 ea. MP-6508183AA C9 Bumper Bolt (need 4) - 2006-2009 Dodge Ram 2500/3500 $ 7.95 ea. 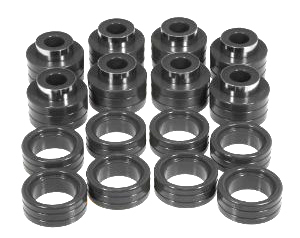 MP-6101678 C14 Plate Nut (need 2 per side) - 2006-2009 Dodge Ram 2500/3500 $ 8.49 ea. 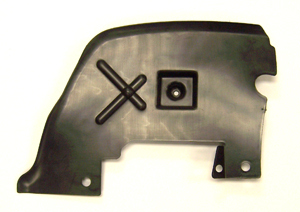 MP-6502625 Step Pad Retainer - 2006-2009 Dodge Ram 2500/3500 $ 13.95 ea. 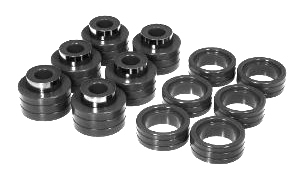 MP-6101678 D12 Plate Nut (need 4 per side) - 2006-2009 Dodge Ram 2500/3500 $ 8.49 ea. MP-68003844AA A4 Bumper Insert Push Pin - 2009-2012 Dodge Ram 1500 Sport (need 7) $ 3.75 ea. 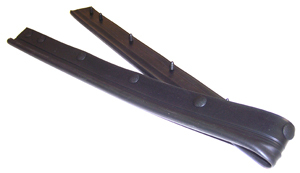 2 required; needed to secure bumper to side bumper brackets $ 5.95 ea. MP-20988 B3 Push Pin - Outer (Need 6) - 2009-2012 Dodge Ram 1500 $ 4.95 ea. MP-68053681AA B3 Push Pin - Inner (Need 13) - 2009-2012 Dodge Ram 1500 $ 3.95 ea. 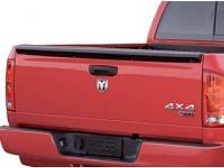 MP-68056631AA B5 Bumper Bracket Kit - 2009-2012 Dodge Ram 1500 Rt & Lt same $ 199.95/pr. 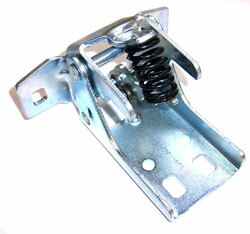 MP-68056630AB B6 Side Bracket Kit - 2009-2012 Dodge Ram 1500 Rt & Lt same $ 69.95/pr. MP-68054374AB B7 Fog Lamp Bracket Kit - 2009-2012 Dodge Ram 1500 $ 49.95/pr. MP-68054374AB 8 Fog Lamp Bracket Kit - 2010-2012 Dodge Ram 2500 R & L included $ 49.95/pr. 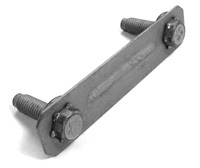 MP-6502473 18 Support Bolt - 2010-2012 Dodge Ram 2500/3500 Right & Left same $ 3.40 ea. Right & Left same $ 5.65 ea. MP-6102018 22 Attaching Bolt - 2010-2012 Dodge Ram 2500/3500 Right & Left same $ 7.25 ea. (need approx 24) $ 4.95 ea. MP-6507167AA 2002-2005 Dodge Ram Grille Support Screw (need 6) $ 5.95 ea. MP-6507167AA 3 2006-2008 Dodge Ram 1500 & 2006-2009 Dodge Ram 2500/3500 Pickup Mounting Screw (need 6) $ 6.95 ea. MP-20187 2006-2008 Dodge Ram 1500 & 2006-2009 Dodge Ram 2500/3500 Pickup Mounting Clip (need approx 24) $ 4.90 ea. MP-6508197AA 5 2006-08 Dodge Ram Pickup 1500 & 2006-2009 2500/3500 Retainer (need 4) $ 4.25 ea. MP-6504135 7 2006 Dodge Ram 1500 Pickup Retainer Clip (need 3 per side) $ 2.85 ea. MP-6504785 3 2010-2011 Dodge Ram 2500/3500 Attaching Screw $ 5.75 ea. MP-68084488AA 3 2010-2011 Dodge Ram 2500/3500 Attaching Screw $ 5.75 ea. Front end covers help protect from bugs, dirt and other road debris. Designed to securely fit the contours of the front end, this high quality cover features two-piece construction to allow the hood to be opened without removing the cover. Black vinyl material with 22 oz. foss polyester backing will not harm painted surfaces. 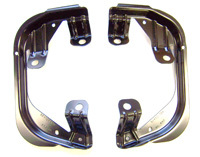 MP-L0009007QL B2 2002-2005 Dodge Ram 1500 & 2005 Dodge Ram 2500-3500 Pickup (need 2 per side; fits R or L) $ 15.95 ea. 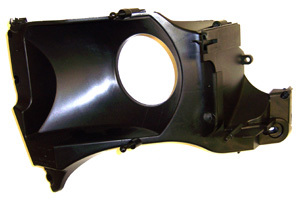 MP-5303228 2002-2005 Dodge Ram 1500 & 2005 Dodge Ram 2500-3500 Pickup (need 2 per side; fits R or L) $ 8.95 ea. MP-L04157NAKX 2002-2005 Dodge Ram 1500 & 2005 Dodge Ram 2500-3500 Pickup (need 2 per side; fits R or L) $ 5.19 ea. MP-L0000H13 C2 Headlamp Bulb - 2006-2008 Dodge Ram 1500 & 2006-2009 Dodge Ram 2500/3500 Pickup & 2009-2010 Dodge Ram 1500 & 2010 Dodge Ram 2500/3500 (without quad lamps) [2 per side] $ 21.95 ea. MP-L00003157A C3 Park/Signal Lamp Bulb & Marker Bulb - 2006-2008 Dodge Ram 1500 $ 4.39 ea. MP-L0003057 C4 Park/Signal Lamp Bulb - 2006 Dodge Ram 2500/3500 $ 3.95 ea. MP-L003157K C4 Park/Signal Lamp Bulb - 2007-2008 Dodge Ram 2500/3500 & 2009-2010 Dodge Ram 1500 & 2010 Dodge Ram 2500/3500 (without quad lamps) $ 4.49 ea. 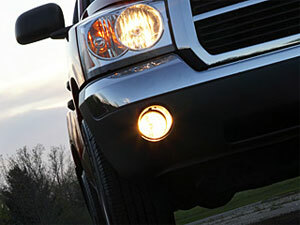 How do you know if you have dual lamp or quad lamp headlights? All St's and some SLT's have dual lamp. Check your headlights. There should be one bulb in each headlight ( 2 bulbs per vehicle), if they are Dual bulb headlights. 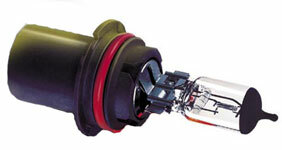 If you have 2 bulbs in each headlight (4 bulbs per vehicle), you have the Quad headlight setup. 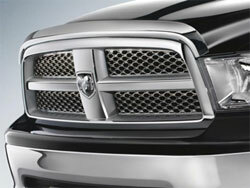 The Bighorn's, Laramie's, Outdoorsman's & Longhorns all have the Quad headlight setup. 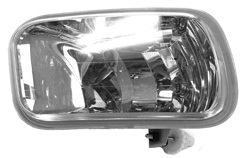 MP-L0009005 With Quad Lamp - 2009-2012 Dodge Ram 1500 & 2010 Dodge Ram 2500/3500 - High Beam (fits R or L) $ 13.95 ea. 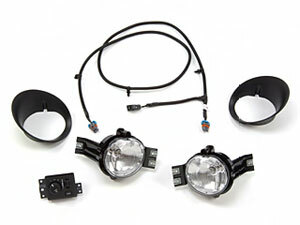 MP-L0000H11 With Quad Lamp - 2009-2012 Dodge Ram 1500 & 2010 Dodge Ram 2500/3500 - Low Beam (fits R or L) $ 13.95 ea. MP-L00003157A 2009 Dodge Ram 2500/3500 $ 4.49 ea. MP-L0003157 2009-2012 Dodge Ram 1500 & 2010-2012 Dodge Ram 2500/3500 (with quad lamps; fits R or L) $ 4.79 ea. 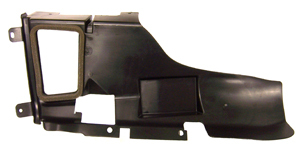 MP-5303228 2006-2009 Dodge Ram 2500/3500 Pickup (fits R or L) $ 6.95 ea. 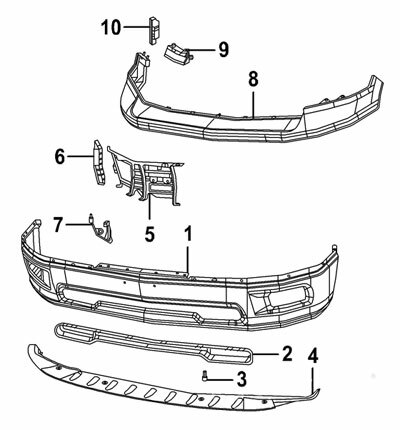 MP-34201631 Fender Liner Attaching Rivot - 1994-2002 (old style) Dodge Ram (9 per side needed) $ 7.65 ea. MP-6033840 C3 Retainer Clip - 2005-2009 Dodge Ram 2500/3500 $ 3.95 ea. MP-6505903AA B4 Fender Clip - 2002-2008 Dodge Ram 1500 $ 4.55 ea. MP-55372734AB 2009-2012 Dodge Ram 1500 & 2010-2012 Dodge Ram 2500/3500 Pickup FOG LAMP Right $ 79.95 ea. MP-55372735AB 2009-2012 Dodge Ram 1500 & 2010-2012 Dodge Ram 2500/3500 Pickup FOG LAMP Left $ 79.95 ea. MP-55077474AE 2002 (new style)-2008 Dodge Ram Pickup FOG LAMP Right $ 149.95 ea. 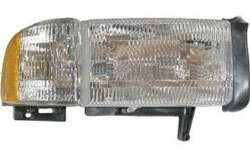 MP-55077475AE 2002 (new style)-2008 Dodge Ram Pickup FOG LAMP Left $ 149.95 ea. 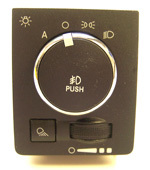 FOG LAMP Right & Left same $ 23.95 ea. 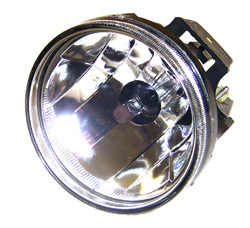 FOG LAMP Right $ 99.95 ea. FOG LAMP Left $ 99.95 ea. 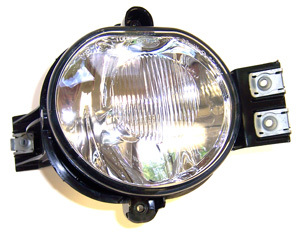 MP-55076942AB 1999-2002 (old style) Dodge Ram Pickup FOG LAMP - with Sport Package Right & Left same $ 149.95 ea. 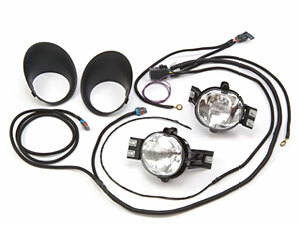 MP-55076940AB 1999-2002 (old style) Dodge Ram Pickup FOG LAMP - without Sport Package Right $ 119.95 ea. MP-55076941AB 1999-2002 (old style) Dodge Ram Pickup FOG LAMP - without Sport Package Left $ 119.95 ea. MP-L0000899 1994-1998 Dodge Ram Pickup FOG LAMP BULB Right & Left same $ 11.95 ea. MP-L0000896 1999-2002 (old style) Dodge Ram Pickup FOG LAMP BULB Right & Left same $ 21.95 ea. MP-L0009006 2002 (new style)-2008 Dodge Ram Pickup FOG LAMP BULB Right & Left same $ 14.95 ea. FOG LAMP BULB Right & Left same $ 21.95 ea. MP-L0009145 2009-2012 Dodge Ram 1500 & 2010-2012 Dodge Ram 2500 Fog Lamp FOG LAMP BULB Right & Left same $ 19.95 ea. 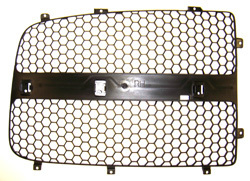 MP-55077238AB 2002 (new style)-2008 Dodge Ram 1500 & 2002 (new style)-2009 Dodge Ram 2500/3500/1500 Mega Cab FOG LAMP BEZEL Right $ 54.95 ea. 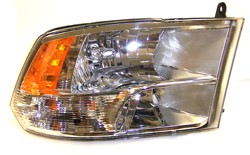 MP-55077239AB 2002 (new style)-2008 Dodge Ram 1500 & 2002 (new style)-2009 Dodge Ram 2500/3500/1500 Mega Cab FOG LAMP BEZEL Left $ 54.95 ea. 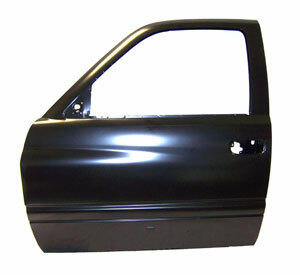 MP-56021339 1998 Dodge Ram Pickup - Club & Quad Cab $ 159.95 ea. 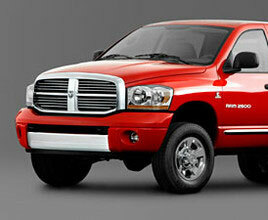 MP-56045212AC 1999-2002 (old style) Dodge Ram Pickup - with Sport Package $ 149.95 ea. 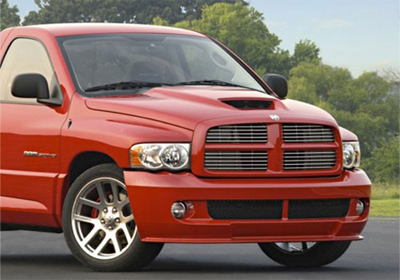 MP-68003338AA 1999-2002 (old style) Dodge Ram Pickup - without Sport Package $ 149.95 ea. 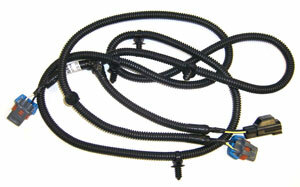 MP-56045501AC 2002 (new style)-2008 Dodge Ram 1500 & 2002-2009 Dodge Ram 2500/3500 Pickup FOG LAMP HARNESS $ 79.95 ea. MP-68026759AC 2009-2013 Dodge Ram 1500 Pickup FOG LAMP HARNESS $ 69.95 ea. 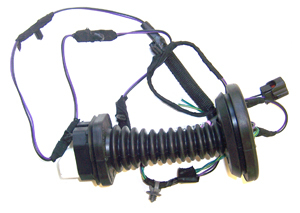 MP-68046303AC 2010-2013 Dodge Ram 2500/3500 Pickup FOG LAMP HARNESS $ 69.95 ea. w/ fog lamps $ 89.95 ea. Same switch included in kit # MP-82209047 below. MP-56049637AD 2006-2008 Dodge Ram (DR/DH/D1) SLT / Laramie $ 59.95 ea. 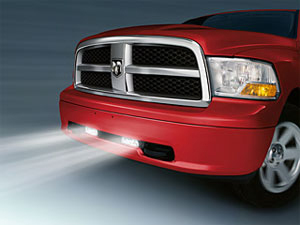 Mopar's Fog Lights undercut inclement weather and minimize glare. They are designed specifically for your vehicle and provide an integrated look, and are designed for vehicles that did not come with fog lights. 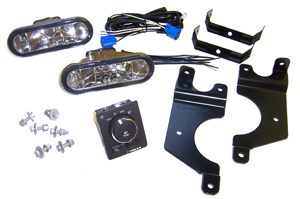 Please note: the above kits are accessory kits, are made for vehicles that did not come with fog lights and include a switch that is mounted to dash. 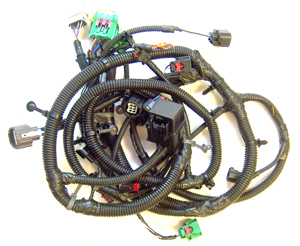 Part # 82208102AC is for trucks built after 5-24-2002 and "WITHOUT" factory fog lamp wiring harness pre-installed in front fascia. 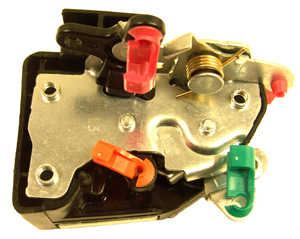 Part # 82209047 is for 2006-2008 SLT and Laramie Trucks "WITH" factory fog lamp wiring harness pre-installed in Front Fascia. Hood with integrated scoop (same as production SRT-10 & Daytona), primed (ready for paint); Includes sheet metal hood and scoop, paintable bezel & molded black grille insert, functional scoop allows airflow to engine compartment. Use your original hardware to install. Shipped truck freight - IN STOCK! 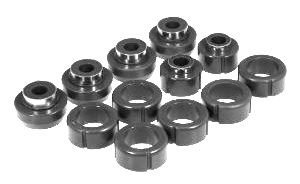 These are the speed nuts for the four studs on the back of the hood scoop insert pictured above. These are the six special push on retainers for installation of the hood scoop grille above. Includes scoop, scoop grille, special scoop clips and push on retainers all in one kit; ready to install. 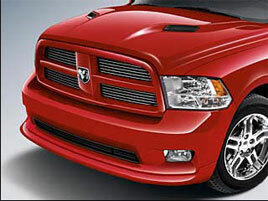 Creates a ram air effect at speeds of 40+ mph. Integrates seamlessly to the underside of an SRT10 Ram Air Hood to route cool outside air into the included Performance Cold Air Intake System. Constructed from lightweight material and installs directly with minor modifications. CARB EO#D-265-23. This duct routes all the cool air your Ram can pull in through the SRT Ram Hood (MP-82208702) over to the Cold Air Intake System (MP-77060005AB) for maximum performance gains. 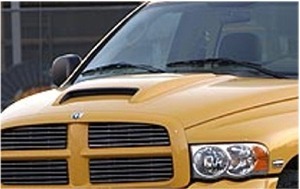 MP-55275733AF Fits 2002-2008 Dodge Ram Pickup 1500/2500/3500 - w/o hood scoop (Steel) $ 589.95 ea. 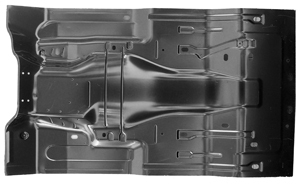 MP-55372034AD Fits 2009-2012 Dodge Ram 1500 Pickup (Aluminum) $ 574.95 ea. MP-55372244AI Fits 2010-2012 Dodge Ram 2500/3500 Pickup $ 449.95 ea. 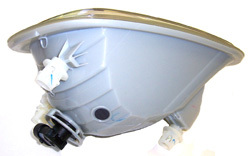 This ready to mount hood scoop mounts to your existing hood. Made of sheet metal with black plastic grille. 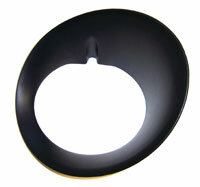 Includes scoop, gasket, template for mounting & hardware. Available already painted or primed and ready for paint. 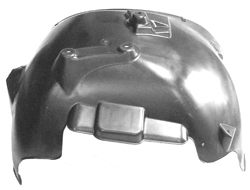 This stamped aluminum hood comes with an E coated finish, ready for paint. Includes hood assembly, non-functional integrated scoops (also sold below separately) and bezels that are paintable. Use your original hardware to install. MP-82211065AF 2009-2013 Dodge Ram 1500 $ 1,049.95 ea. 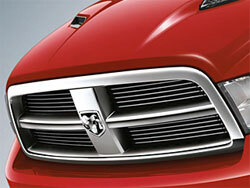 Plastic non-functional integrated hood scoop inserts for above hood. MP-68046800AD 2009-2013 Dodge Ram 1500 $ 109.95/pr. MP-312A 2002 (new style) -2009 (exc. 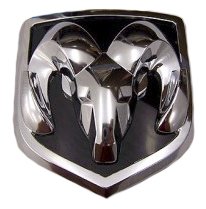 2009 1500) Dodge Ram Pickup Hood Insulator Clips (sold individually) - 12 per vehicle $ 2.50 ea. MP-312B 1994-2002 (old style) Dodge Ram Pickup Hood Insulator Clips (sold individually) 15 per vehicle $ 1.50 ea. MP-312C 2009-2011 Dodge Ram 1500 & 2010 Dodge Ram 2500/3500 Pickup Hood Insulator Clips (sold individually) - 5 per vehicle $ 3.00 ea. 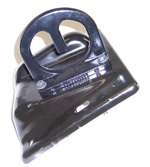 MP-6503794 Cable Attaching Clip - Front - 1994-2002 (old style) Dodge Ram Pickup $ 4.95 ea. 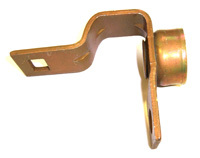 MP-6502784 Cable Attaching Clip - Side (2) - 1994-2002 (old style) Dodge Ram Pickup $ 5.95 ea. Most sagging doors are due to hinge failure which is due to pin or bushing failure. 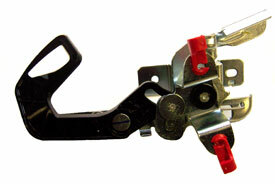 These hinge repair kits offer an easier and more cost effective way of repairing those hinges back in to working order. 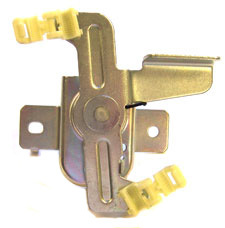 Each kit repairs one hinge and contains one zinc and yellow dichromate plated grade 8 bolt, two self-lubricating brass alloy bushings, one zinc plated spin lock nut and one zinc plated internal lock washer. (3 per side) $ 4.95 ea. 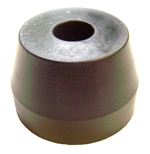 MP-J4200408 C11 Mounting Nut - 2000-2002 (old style) Dodge Ram (3 per side) $ 4.95 ea. MP-6503298 C23 Floor/Frame Bolt - 1994-2002 (old style 2002) Dodge Ram 1500 Standard Cab $ 6.95 ea. 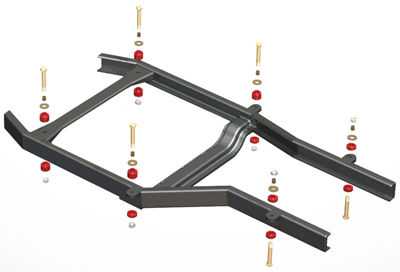 These complete urethane isolator mount kits are a must when removing your cab and bed assembly from the frame. Eliminates squeaks. TK-5417 Mount $ 34.95 ea. TK-3616 Mount $ 49.95 ea. TK-3193 Mount $ 49.95 ea. TK-3617 Mount $ 49.95 ea. 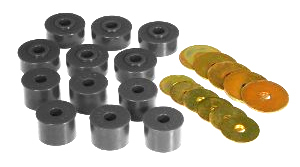 These urethane cab isolator mount kits are a must when removing your cab from the frame. Eliminates squeaks. MP-5029511AB 1 2004-2006 Dodge Ram Pickup SRT-10 Rear Bumper SRT-10 Model $ 339.95 ea. MP-55077358AC 2 2004-2005 Dodge Ram Pickup SRT-10 Rear Bumper Support - SRT-10 Model - Right $ 54.95 ea. MP-55077359AC 2 2004-2005 Dodge Ram Pickup SRT-10 Rear Bumper Support - SRT-10 Model - Left $ 54.95 ea. MP-5029742AA 2 2006 Dodge Ram Pickup SRT-10 Rear Bumper Support - SRT-10 Model - Right $ 54.95 ea. MP-5029743AA 2 2006 Dodge Ram Pickup SRT-10 Rear Bumper Support - SRT-10 Model - Left $ 54.95 ea. (adjoins the SRT-10 rear bumper cover on the right side) $ 479.95 ea. SRT-10 Model $ 659.95 ea. 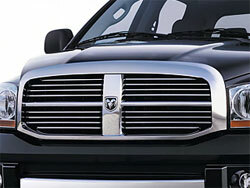 MP-5159221AA 2004-2006 Dodge Ram Pickup Rear Valance - Hemi Sport Package $ 214.95 ea. 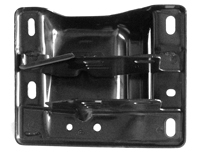 MP-5029480AD 6 2004-2006 Dodge Ram Pickup SRT-10 Side Bumper Bracket - R/L same $ 29.95 ea. MP-5029925AA 7 2004-2006 Dodge Ram Pickup SRT-10 Rear Bumper Push Pin (Need 8) $ 3.69 ea. MP-6507219AA 8 2004-2006 Dodge Ram Pickup SRT-10 Rear Bumper Bolt (Need 4) $ 3.95 ea. MP-55077704AA 9 2004-2006 Dodge Ram Pickup SRT-10 Rear Bumper Bracket - Right $ 26.95 ea. MP-55077705AA 9 2004-2006 Dodge Ram Pickup SRT-10 Rear Bumper Bracket - Left $ 26.95 ea. MP-6506830AA 10 2004-2006 Dodge Ram Pickup SRT-10 Rear Bumper Retainer - Right & Left same $ 7.95 ea. 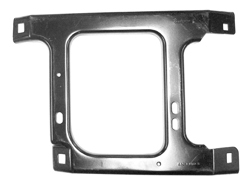 MP-5030022AA 11 2004-2006 Dodge Ram Pickup SRT-10 License Plate Bracket $ 58.95 ea. MP-6507219AA 12 2004-2006 Dodge Ram Pickup SRT-10 Mounting Bolt (Need 4) $ 3.69 ea. MP-L0000168 License Lamp Bulb - 2002-2008 Dodge Ram 1500 Pickup Right or Left $ 7.99 ea. 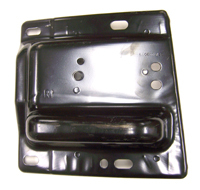 MP-6504677 A6 Support Retainer - 2002-2003 Dodge Ram 1500 Pickup Right or Left $ 5.95 ea. MP-6507219AA A8/B6 Bumper Bolt - 2002-2008 Dodge Ram 1500 Pickup (need 4) $ 4.39 ea. MP-6507391AA B12/C8 Mounting Bolt - 2005-2009 Dodge Ram 2500/3500/1500 Mega Pickup (need 6) $ 5.95 ea. This is the same spoiler that came on the Dodge Ram Daytona's. It's made from black high composite material and is ready for installation. This is the spoiler that came on the SRT-10 Dodge Ram trucks. Available for vehicles with or without the fiberglass bed cover. 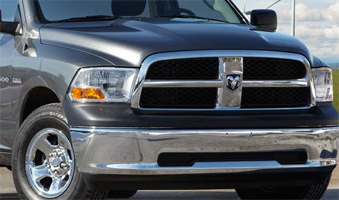 MP-5029787AB 2002-2007 All Dodge Ram Pickups with fiberglass bed cover - Paint to Match $ 819.95 ea. This is the same spoiler as what came on the 1500 Dodge Ram Daytona's. *see note above on tailgates MP-55274915AE & MP-55274833AC $ 13.25 ea. (need 2 per side) Right or Left same $ 9.95 ea. MP-L0003057 A3 OEM Tail Lamp Bulb - 2002-2007 Dodge Ram 1500 $ 4.95 ea. MP-L003157K A3 OEM Tail Lamp Bulb - 2008 Dodge Ram 1500 $ 4.49 ea. MP-L00003157A A3 OEM Turn Signal Bulb - 2002-2007 Dodge Ram 1500 $ 4.49 ea. MP-L000921E A3 OEM Turn Signal Bulb - 2008 Dodge Ram 1500 $ 4.99 ea. 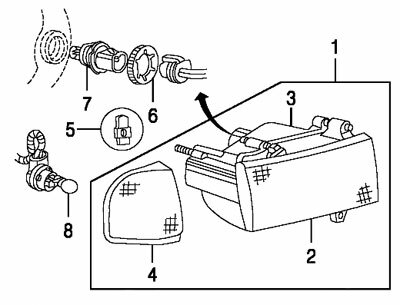 MP-55077343AD A4 OEM Combination Lamp Socket - 2002-2006 Dodge Ram $ 34.95 ea. MP-4857327AA A4 OEM Combination Lamp Socket - 2007-2008 Dodge Ram $ 8.59 ea. 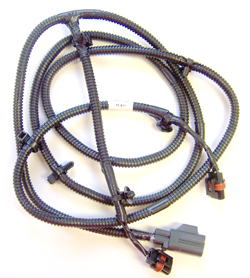 MP-55077346AA OEM Tail Lamp Wiring Harness - 2002-2003 Dodge Ram 1500 $ 79.95 ea. MP-55277414AA B1 OEM Combination Lamp - 2009-2010 Dodge Ram 1500 (exc Mega) Right $ 69.95 ea. MP-55277415AA B1 OEM Combination Lamp - 2009-2010 Dodge Ram 1500 (exc Mega) Left $ 69.95 ea. MP-L003057K B2 OEM Tail Lamp Bulb - 2009-2010 Dodge Ram 1500 $ 6.49 ea. MP-L000921E B3 OEM Turn Signal Bulb - 2009-2010 Dodge Ram 1500 $ 4.99 ea. 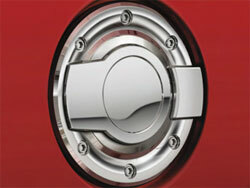 Replace your existing factory fuel door with this billet fuel door. No drilling required, replaces exactly with the factory installed door. 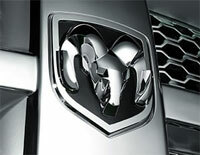 Rams head logo featured inside fuel door. Door holds securely in the open position or closed. MP-6503298 Bed Attaching Bolt - 1994-2002 (old style) Dodge Ram Pickup (4 required) $ 6.95 ea. 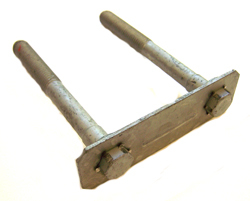 MP-55362119AC 18 Cargo Tie Down - 1994-2002 (old style) Dodge Ram Pickup (2 per side) - Rt Lt same $ 26.95 ea. 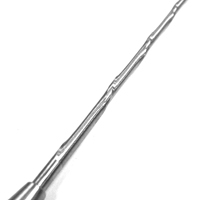 MP-34201631 Liner Attaching Rivot - 1994-2002 (old style) Dodge Ram Pickup ( 7 per side) $ 6.95 ea.